The 2017 IBC Show in Amsterdam comes to a close today, and the SVG Europe and SVG Americas editorial teams have been out in full force for the duration of the show, covering all the latest news. In an effort to make the tidal wave of news and announcements more digestible to our readers, SVG has provided a daily “SportTechBuzz at IBC 2017” roundup. The daily rundown offered snippets of big announcements and a look at what was on display at hundreds of stands at the RAI. Here is a review of SVG’s daily SportTechBuzz reports from each day at the show. 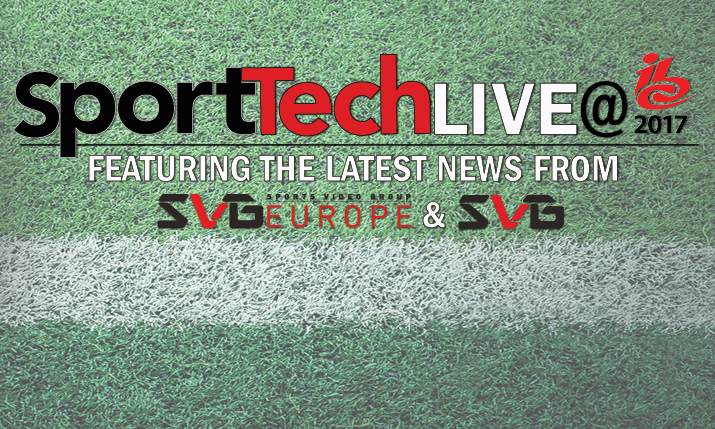 Our Friday (September 15) SportTechBuzz roundup features reports from the Thursday IBC press conferences, including news of Canon, Fujifilm, Multidyne, Vizrt, Evertz, Grass Valley, Harmonic, Ericsson, and Ross Video. 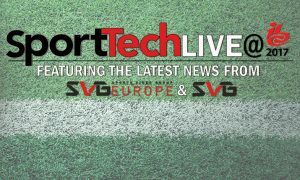 Day 2 (September 16) SportTechBuzz roundup features news from Gearhouse Broadcast, SAM, Imagine Communications, Sixty AS, Grabyo, Haivision, SimplyLive, Brainstorm, Panasonic, Dalet, and Solid State Logic. The Sunday (September 17) SportTechBuzz roundup features news from Sony, VIDELIO, Verizon Digital Media Services, Wowza, TVU Networks, Convergent Design, Canare, Riedel, Aperi, Blackmagic Design, Avid, EVS, the Telos Alliance Group, NeuLion, Vizrt, Media Links, and Snell Advanced Media (SAM). Our Monday (September 18) SportTechBuzz roundup features news from Irdeto, Harmonic, Evertz, Brainstorm, Imagine Communications, Vitec, Net Insight, Vizrt, Adobe, EVS, Canon, Vislink, Grass Valley, Intelsat, Grabyo, Nevion, SES, Prime Focus, wTVision, Ross Video, Solid State Logic, Zixi, Sennheiser, Snell Advanced Media (SAM), Calrec, Square Box Systems, MX1, VIDELIO, Dalet, Yamaha, Ericsson, AJA, Telos Alliance, Riedel, Panasonic, AJA, Media Lnks, and NEP.